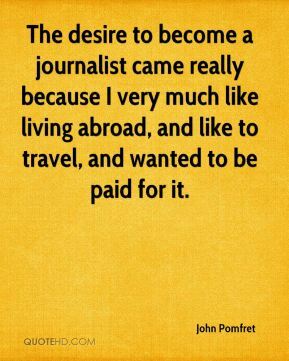 Before acting, I wanted to become a journalist. 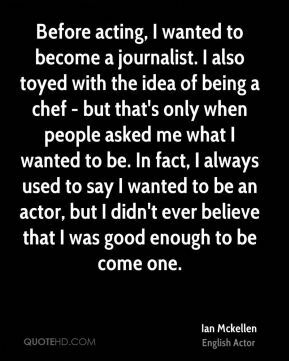 I also toyed with the idea of being a chef - but that's only when people asked me what I wanted to be. In fact, I always used to say I wanted to be an actor, but I didn't ever believe that I was good enough to be come one. 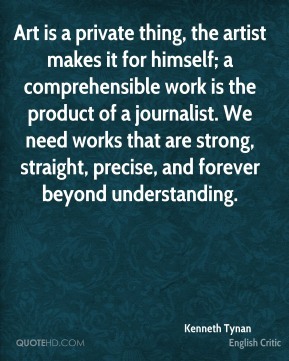 I want to go to college to study journalism. 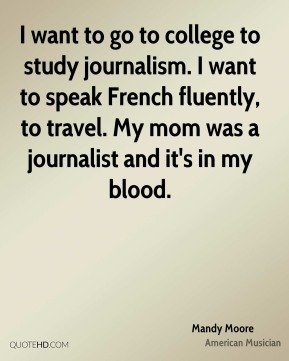 I want to speak French fluently, to travel. 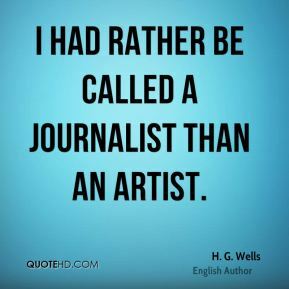 My mom was a journalist and it's in my blood. 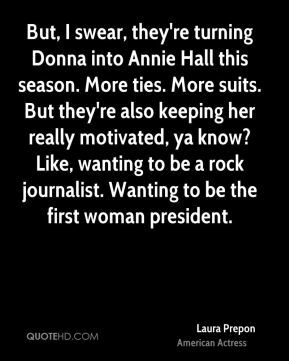 But, I swear, they're turning Donna into Annie Hall this season. More ties. More suits. But they're also keeping her really motivated, ya know? 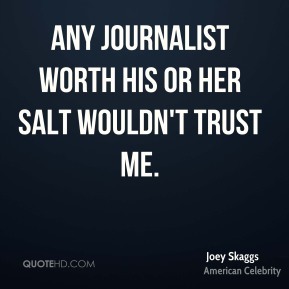 Like, wanting to be a rock journalist. Wanting to be the first woman president. 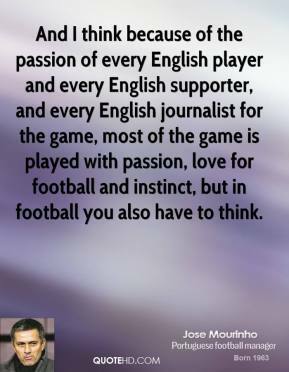 And I think because of the passion of every English player and every English supporter, and every English journalist for the game, most of the game is played with passion, love for football and instinct, but in football you also have to think. 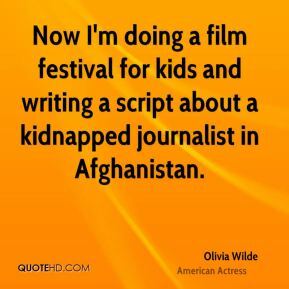 Now I'm doing a film festival for kids and writing a script about a kidnapped journalist in Afghanistan. 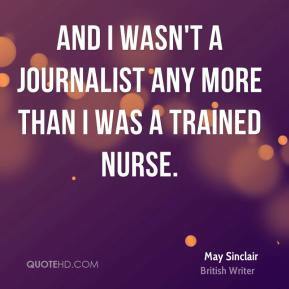 And I wasn't a journalist any more than I was a trained nurse. 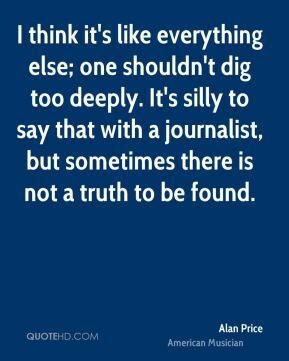 Whether you're a newspaper journalist, a lawyer, a doctor. 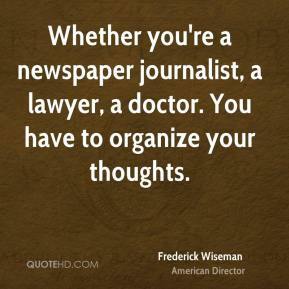 You have to organize your thoughts. 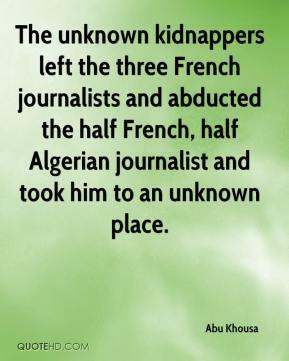 The unknown kidnappers left the three French journalists and abducted the half French, half Algerian journalist and took him to an unknown place. This is New York seen from the point of view of an outsider. 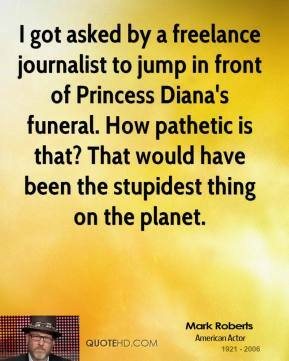 The TV journalist is so famous that he's no longer part of the world. 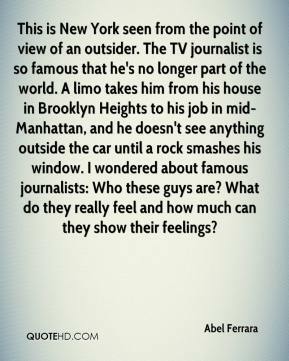 A limo takes him from his house in Brooklyn Heights to his job in mid-Manhattan, and he doesn't see anything outside the car until a rock smashes his window. I wondered about famous journalists: Who these guys are? What do they really feel and how much can they show their feelings? 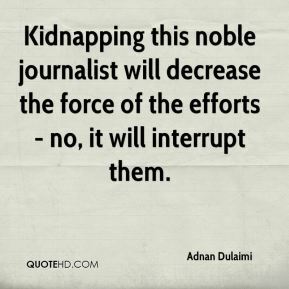 Kidnapping this noble journalist will decrease the force of the efforts - no, it will interrupt them. 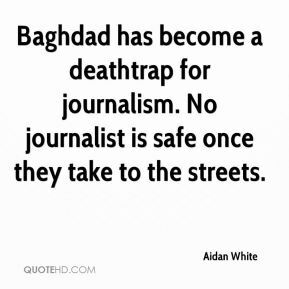 Baghdad has become a deathtrap for journalism. 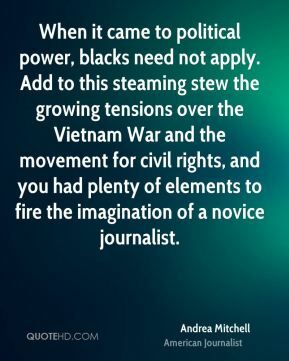 No journalist is safe once they take to the streets. We're deeply concerned at Rory's disappearance. He is in Iraq as a professional journalist - and he's a very good, straight journalist whose only concern is to report fairly and truthfully about the country. 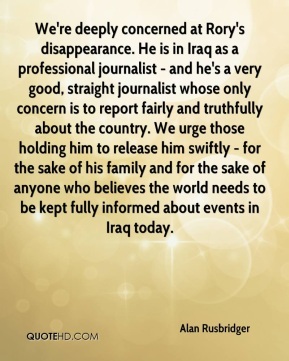 We urge those holding him to release him swiftly - for the sake of his family and for the sake of anyone who believes the world needs to be kept fully informed about events in Iraq today. 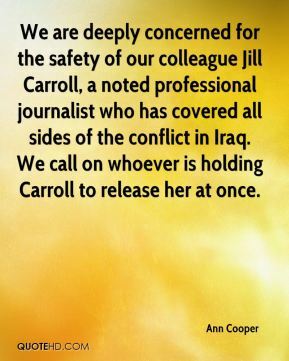 We are deeply concerned for the safety of our colleague Jill Carroll, a noted professional journalist who has covered all sides of the conflict in Iraq. We call on whoever is holding Carroll to release her at once. 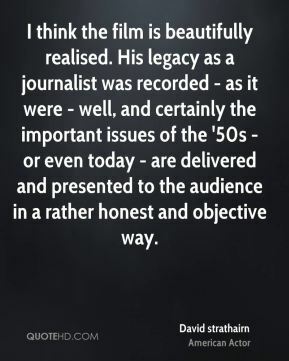 Every filmmaker, every journalist has to be arrogant. 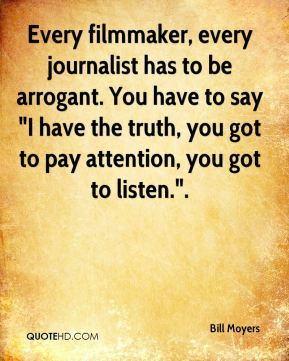 You have to say "I have the truth, you got to pay attention, you got to listen.". 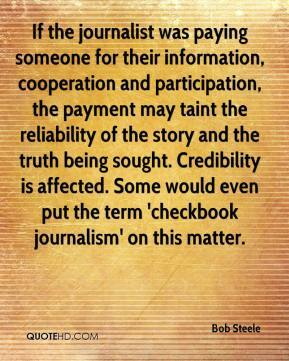 If the journalist was paying someone for their information, cooperation and participation, the payment may taint the reliability of the story and the truth being sought. Credibility is affected. 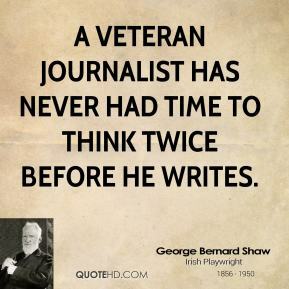 Some would even put the term 'checkbook journalism' on this matter.